Plywood is a stable wood product manufactured by gluing thin layers of wood called veneers together. Manufacturers use letters to grade plywood by appearance and by the materials used to manufacture it. Plywood is used in a myriad of forms for purposes ranging from building homes to fine furniture. Pywood viewed from the edge shows the veneers used to manufacture it. Plywood is a stable wood product manufactured by gluing thin layers of wood called veneers together. Manufacturers use letters to grade plywood by appearance and by the materials used to manufacture it. Plywood is used in a myriad of forms for purposes ranging from building homes to fine furniture. All plywood has at least three layers -- a front, a back and a middle. The veneers are cut from logs using one of two methods. A knife peels the layers from the wood as the log is rotated or the knife slices the log into thin strips as the log turns a few inches. The manufacturing process turns the layers so the wood grain in each layer runs perpendicular to the layer above it. This adds stability to the finished product. Manufacturers grade plywood layers according to industry standards. Inner and back layers are often made from poorer quality veneers and have more defects than the front layers. Grade 'A' is the best with the few defects patched and nearly invisible. Grade 'B' has a uniform surface with open knots removed and filled, and some permissible open splits in the veneer. Grade 'C' has defects and knots that are not filled. When manufacturers grade plywood using letters, they are indicating three things. The first letter indicates the veneer grade of the best face, and also indicates if the plywood faces were sanded. Only plywood grades beginning with the letter 'A' are sanded. The second letter of the plywood grade indicates the back or poorer face of the plywood. A grade of 'AB' means the plywood was sanded on both sides, the best face veneer is grade 'A' and the poorer face veneer is grade 'B'. 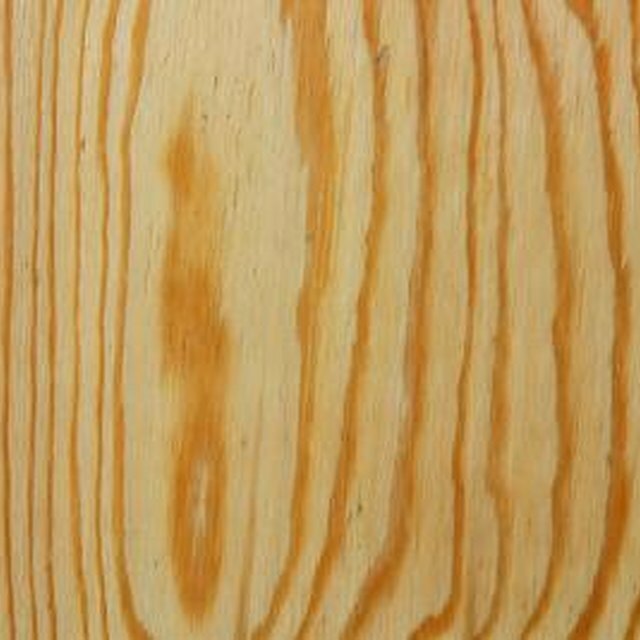 BC pine plywood is made from pine and has not been sanded. The front face is grade B and the rear face is grade C.
The inner layer grades usually match the poorer outer layer in this type of plywood. This plywood is suitable in home building for floors, outside walls and for general manufacturing of boxes and other non-appearance dependent uses. Other uses include sign building and boarding windows and doors to prevent damage or unauthorized entry. What Mineral Makes a Dehumidifier?